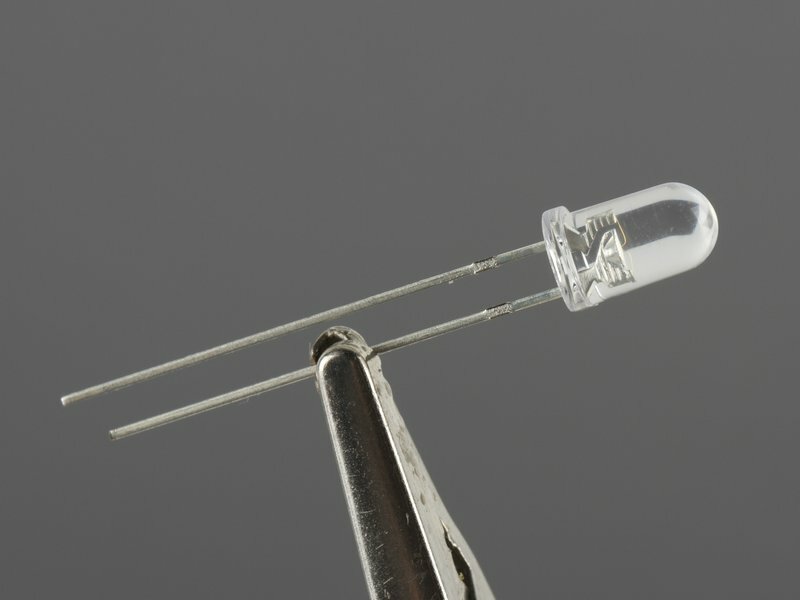 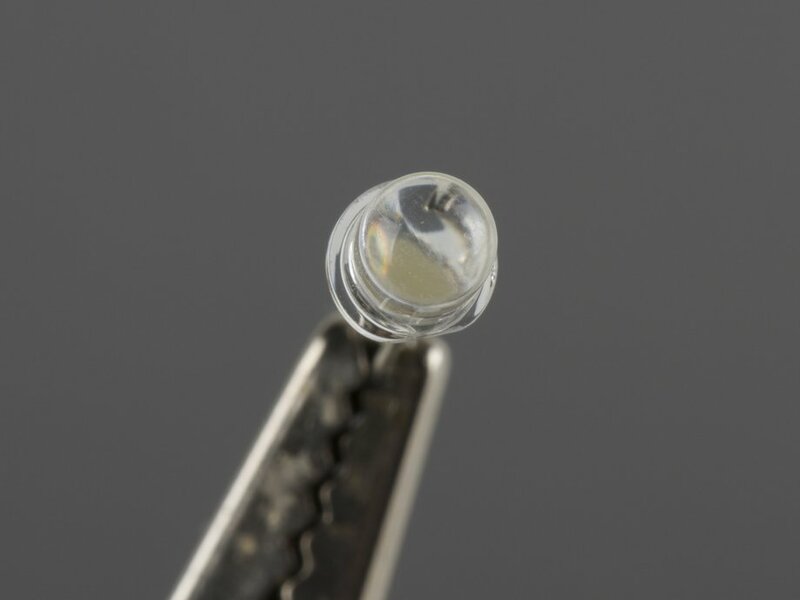 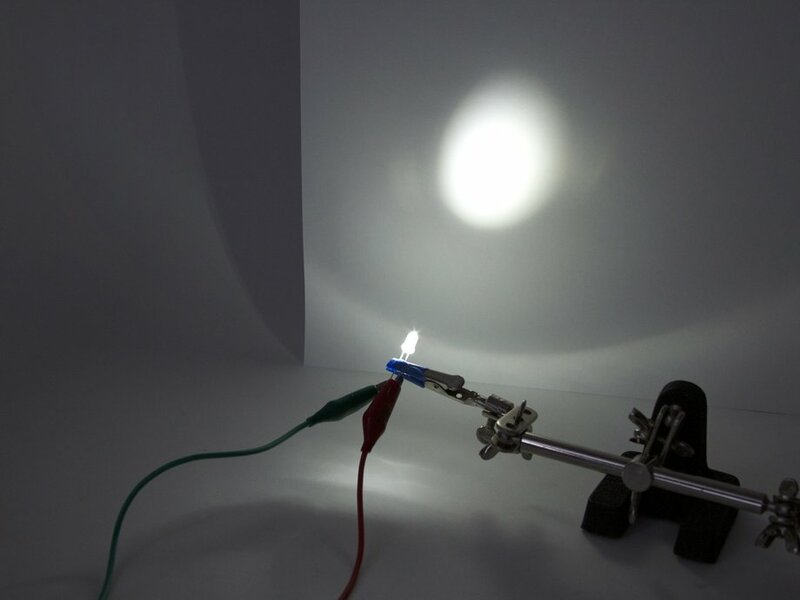 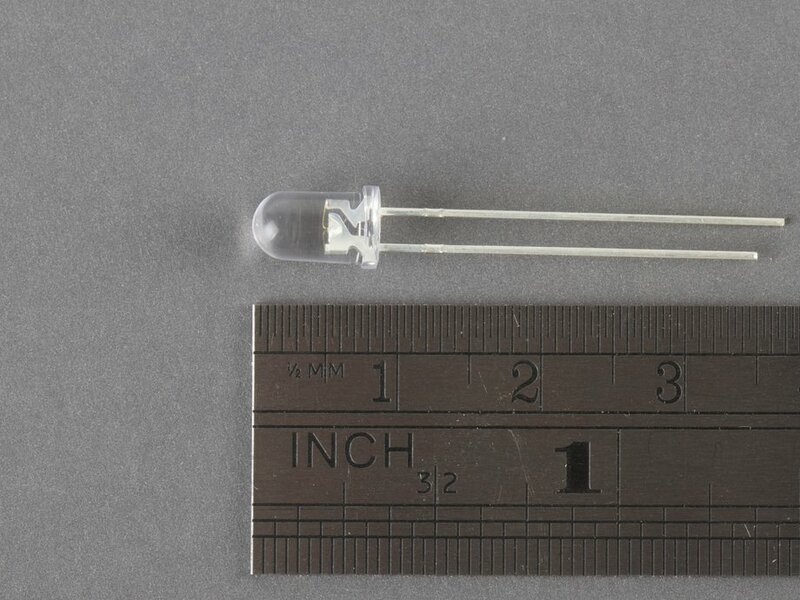 General-purpose 5 mm ("standard size") ultrabright white LEDs with a water-clear lens. 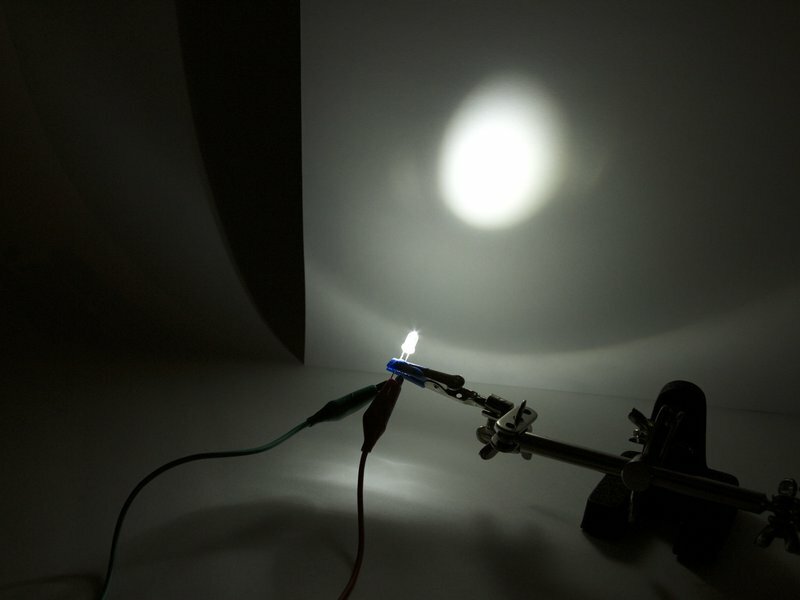 Extremely bright light, projected in a narrow cone. Best choice for outdoor viewing, especially at a distance.